Aviation industry is currently lacking pilots yet finding the place to work takes time, dedication and good education. Aviation training centre, Baltic Aviation Academy, based in Vilnius, Lithuania has been the education source for a number of pilots who have successfully entered aviation job market with Europe’s top airlines. Majority of the airlines are looking for already successfully established and qualified pilots that could take captain seats in the aircraft. Unfortunately, there are not that many of those seats and definitely not everyone is made to be a captain. What future pilots can do is make sure that they take thoughtful steps in their training path so that job search assures success. One more valuable attribute to receive through the training centre, after the type rating training course, are the base and line trainings. The importance of both of these trainings couldn’t be stressed enough once the pilot finishes his type rating training and thus can direct the pilot’s career in one or another way. Finding the right training centre can be challenging. Some people make their decision based on the type rating courses offered, others by the ability to retrain, or even by the connections that centre has with various airlines or base and line trainings availability. “Baltic Aviation Academy has been working hard on creating the opportunities to help students get base and line trainings, as well as job opportunities with the airlines. 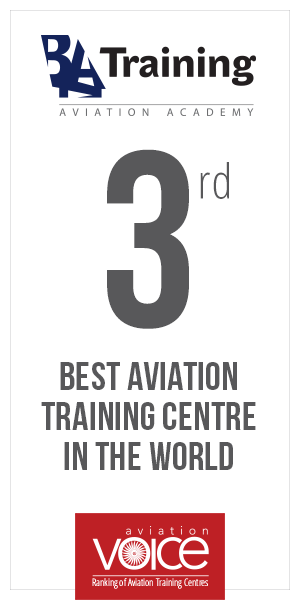 This year, Baltic Aviation Academy has increased its line training offering by 133%. This is a big increase, yet we will continue working on increasing it every year”, said Egle Vaitkeviciute, CEO at Baltic Aviation Academy.